Many Americans love traveling around the world, and one of the most popular destinations among them is Italy. If you’re an American and planning a trip to Italy, there are a few tips you should know about. Here are seven tips for Americans traveling to Italy. 1. Get Use To No Personal Space- When you go to Italy, be prepared to have no personal space. Many Americans land in the country and are surprised by the lack of personal space. To be blunt, in most cities in Italy, there is no personal space, but this isn’t a bad thing and shouldn’t put you off going there. The homes in Italy tend to be far smaller than the ones in America and so are most other spaces. For example, you won’t find massive elevators there, and there are no massive sidewalks, and most of the cars are extremely small compared to the vehicles driven in the United States. Even the grocery stores are smaller than the average store in America. The bottom line is to make sure you get used to having virtually no personal space. When you go out to eat, you can go to places with outdoor seating. This is because places that offer outdoor seating tend to have a bit more space for guests than eateries that don’t when it comes to their outdoor areas. If sitting close to other diners don’t bother you, then feel free to eat anywhere of your choosing. 2. 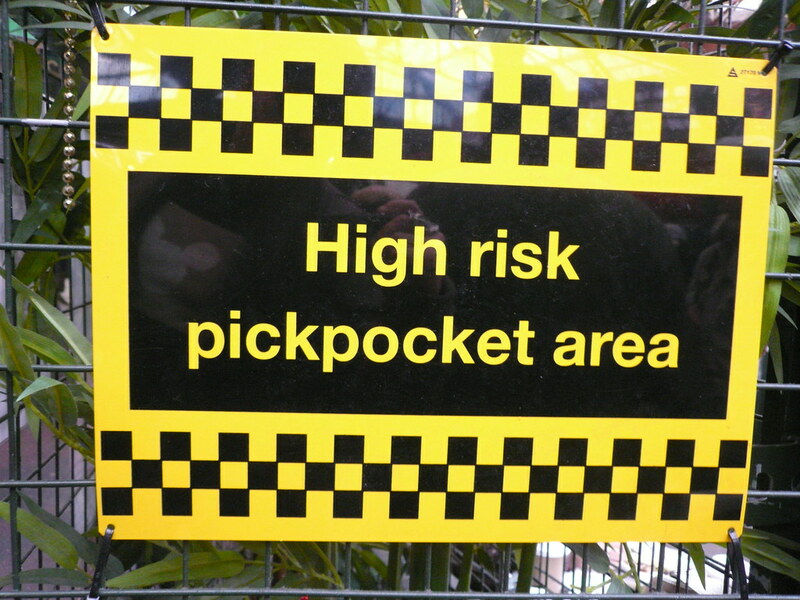 Beware Of Pickpockets- Italy is a beautiful country, and some of the best cities in the world can be found there. Generally speaking, it is a safe place to visit, and the crime rate is very low when compared to the US. However, there is one crime that is quite common there, and you need to be aware of it. You need to be careful of pickpockets. Pickpocket is especially an issue in Rome, but regardless of where you go, make sure you are careful and aware of your surroundings. Furthermore, the most common places pickpockets take place are on the bus, metro, and bars. If you’re a woman who carries around a bag, make sure it has a zipper and if you’re a passenger in a car, then make sure you don’t keep your bag or belongings on your lap while the window is rolled down. The chances are you will be fine, and you won’t fall victim to this crime, but it’s always a good idea to pay attention when you’re out and about. The court systems are much different in Italy. From court reporting to the attorneys, it is not the same. It is best not to be a victim in the first place, so you do not have to experience the legal system as an American. 3. Many Places Close In The Afternoon- One of the things that surprise Americans the most when they are in Italy is when shops operate to and from. For the most part, many places open in the mornings and they close sometime in the evening. This isn’t what surprises Americans. What surprises them is when they head to a store in mid-afternoon and find it closed with a note saying they will be back in a few hours, and not all places put up a note or sign. We’re talking about afternoon closings. There are many shops that close for a few hours from 12 pm or 1 pm until 3pm-4pm. This is especially true outside of the center of the city, so expect to find shops not operating in the afternoon. Italians use this time to go back home to have lunch, spend time with their family or to have a quick nap, which is why this period is sometimes known as siesta time, so feel free to do the same once the afternoon arrives. 4. Tips Are Not Expected- In America, if you don’t tip in many places, then you could be considered rude. In fact, a lot of people automatically tip their cab driver, hair dresser, at the restaurant and so forth. It’s as if it is second nature for most Americans, but in Italy, it’s a different story. In fact, a lot of Americans don’t feel right when they don’t tip in Italy. 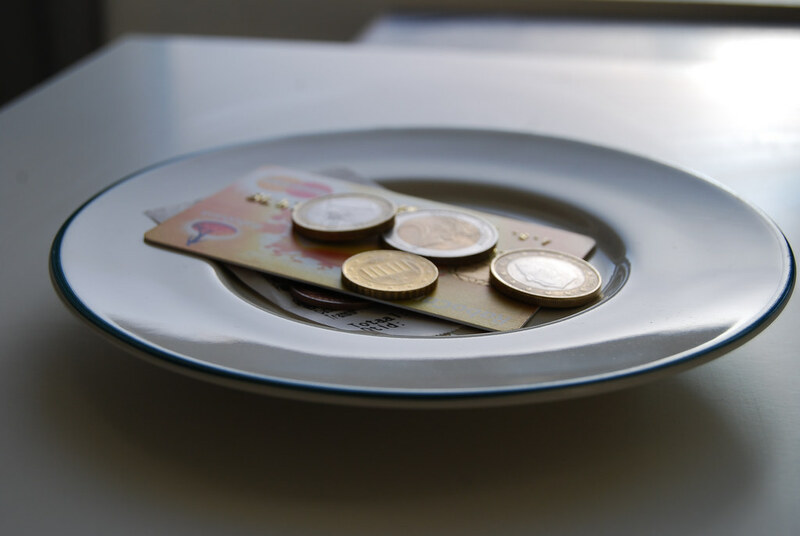 The truth is that most places in Europe, including Italy, tips are not required nor are they expected, and this goes for taxis and other forms of transportation, as well as waiters, at the hair salon, the bar and so on. When you arrive in Italy, and you start exploring, don’t feel obligated to tip, but if you feel it’s necessary, then go right ahead. The choice is up to you, but nobody is going to expect a tip from you. 5. Learn Common Phrases– When in Italy, you shouldn’t expect that everyone is going to know English. Some Italians are not fluent in English. Many Americans travel to Italy, and they are under the impression that most Italians know a little bit of English, but this is not the case. Sure, tourist attractions will usually have workers that know a little bit of English, but this isn’t always the case. We’re not suggesting taking classes to learn the entire Italian language. However, it is a good idea to become familiar with a few common words and phrases, such as the following words/phrases: Thank you, this, please, and you’re welcome. Knowing a few common phrases and words can enhance the time you spend in Italy, and it’s polite to know a few Italian words, such as the ones we just mentioned. At the very least, you should learn how to ask someone if they speak English. 6. Getting A Taxi Isn’t The Same- Another tip is in regards to getting a taxi. Regardless of where you are in Italy, the chances are you won’t be able to hail a taxi, and this is even in major cities such as Rome. Many Americans are surprised when they arrive in Italian cities and find that they cannot catch a cab as easy as they could in major cities in the United States. Nonetheless, getting a taxi isn’t that hard. All you have to do is find a taxi stand if there’s on nearby. If there isn’t, then you’ll have to give a cab company a call, and then they will send a cab to get you. Here’s a tip, make a list of taxi companies and then keep the numbers saved on your phone. This will make getting a cab much easier. 7. Take It Easy And Slow- Americans tend to be in a rush wherever they go, regardless if they are on vacation or not. A lot of people rush around Italy and its cities, but there’s no reason to rush. There are just so many things to do and see in Italy, especially in cities such as Rome and Milan. There is noway you will see everything Italy has to offer in just a single trip, even if that trip is a month long. What we’re trying to say is when in Italy, make sure you take it easy and slow things down because there is so much to take in and experience. Remember, Italy is rich in museums, art, culture, food and some of the world’s top tourist attractions. If you insist on rushing around, then you will not get to truly experience Italy. A good tip to keep in mind is to make a list of things you want to see and do in Italy. Do those things first and take your time doing them and then do the other activities. A lot of tourists don’t make plans ahead of time, and then they feel the urge to rush when they finally arrive in Italy. Those tips should help you out if you go to Italy. Before you go, feel free to refer back to this article for a refresher. With that said, all you have to do now is book your trip to Italy and keep the above information in mind. Milan is not as popular as places like Rome and Venice; yet, you must visit this place if you come to Italy. Here are the reasons why Milan should be on your ‘must-visit places’ list when you come to Italy. There are lots of canals in Milan. Navigli district is known as the canal district. You can easily move around the city by metro, tram, bike or by foot. Markets are set up along the canals. There are lots of artisan shops, boutiques, restaurants, and cafes. The local street art is famous here. The nightlife is awesome here. There are lots of bars and night clubs to have a good time. Milan has a wide range of modern cuisine that will satisfy you. You can have meats and flavorful cheeses. The markets are very lively here, and you will find fresh ingredients. You can pick up gourmet items for your home.There are lots of pizza places as well. You must not miss eating pastry and cappuccino when you are in Milan. You will see most people riding bikes in Milan. The climate is mild here, and the roads are flat, so it’s convenient for tourists and the local people to enjoy biking throughout the year. You can rent a bike and tour across the town. Milan has some unique things to offer that you won’t find in any other part of Italy. So, make sure you have Milan on your travel plan when you visit Italy. Find Best Restaurants in Italy!